Who is Elizabeth Cooper? Elizabeth Cooper is not one person, but two. Mother/daughter duo Arin Elizabeth (left) & Carrie Cooper (right). We began in 2010 with one goal- to create modest gowns that are not only unique, & fashion forward but also affordable. 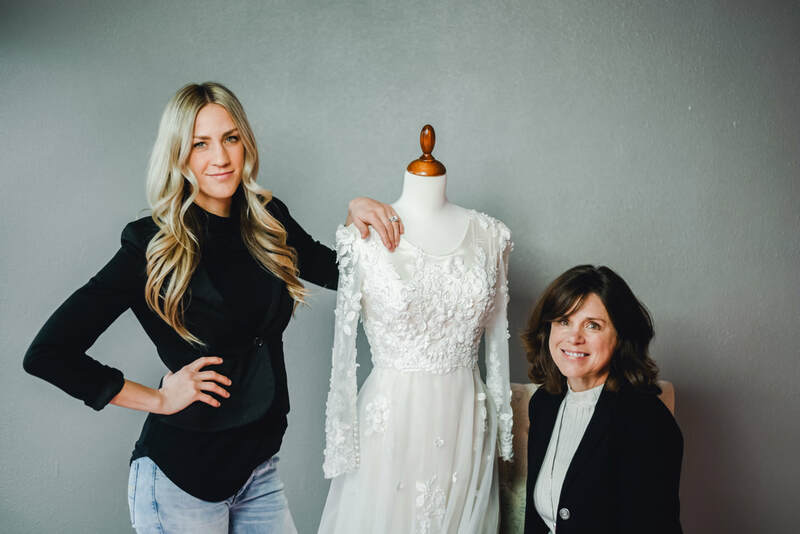 All gowns are designed right here in the U.S.A. by Arin & Carrie with these goals in mind. We understand that definitions of modesty vary by person which is why all gowns come with some customization options including color, gown length, sleeve length/lining, & corset/zippered back options. We love being able to create gowns that will be part of such a special moment in someone's life.